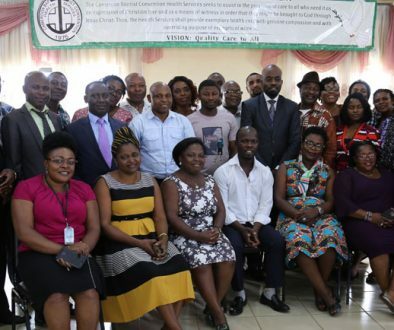 Stakeholders of the Cameroon Clubfoot Care Project (CCCP) have applauded the project for the impact that it has created since its initiation in 2014. The evaluation of the project was done from August 13-20, 2018 by a team made up of the CBM Director for West and Central Africa Mr. Mue Peter, the CBM Country Program Manager, Maria Magdalene, and the President of the Coordinating Unit of the Associations of Persons with Disabilities in the NW Region, Mr. Chick Sama. They were accompanied in the evaluation meeting by the CCCP coordination team led by the Program Manager, Mr. Awa Jacques Chirac. The lead evaluator, Mr. Mue Peter, explained that the objective of the evaluation was to get feedback from stakeholders on their appraisal of the project and their perspectives which will inform the planning of the next phase of the project. During the evaluation, the team had working sessions with the different stakeholders made up of service providers, Community Based Rehabilitation workers, media practitioners, religious and traditional leaders, Social Affairs, Basic Education and Council stakeholders, an official of the Ministry of Public Health, and parents of children born with clubfoot amongst others. Participants share their views that will help improve on its next phase if it is granted. At each visit made to the different stakeholders, Mr. Mue presented the objectives of the evaluation and encouraged participants to be objective in sharing their views about the project given that it will help improve on its next phase if it is granted. The team visited Mbingo Baptist Hospital, SAJOCAH Bafut and the Yaounde Handicap Centre which are amongst the 21 partner clinics of the project. In each of the clinics, Mr. Mue appreciated the clubfoot staff for their efforts in treating children with clubfoot with good results recorded so far. The staff in the clinics led by the heads of department commended the project for continuous capacity building and provision of consumables for the clinics which have enabled them to provide the right treatment to the children. The Head of the Physiotherapy Department in SAJOCAH Bafut, Sr. Petra Muso noted, “The subsidies that the project has been providing for very poor children have greatly enabled a number of children who could not pay for their treatment to have access to treatment.” They expressed challenges like long distances that parents cover to get to the hospital for continuous follow up which often lead to relapse, non-compliance at the maintenance stage, cultural beliefs that have prevented some parents from taking their children for treatment, and limited number of clubfoot treatment centres amongst others. 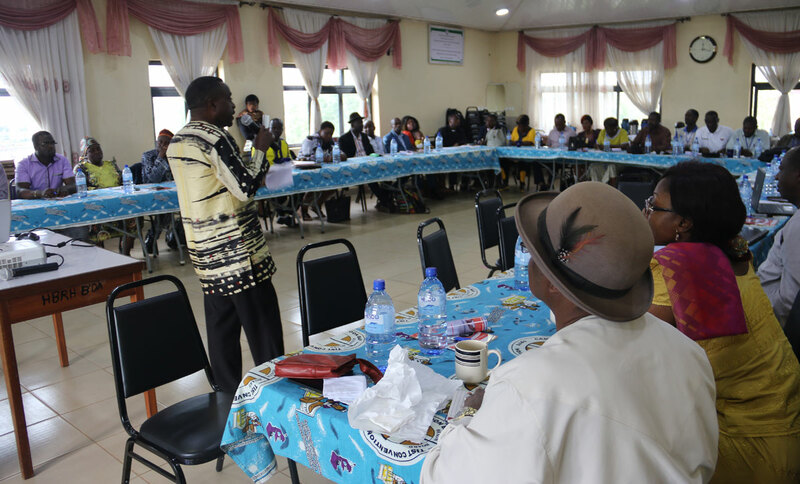 The evaluation in the Northwest Region ended with a stakeholders meeting that held in Bamenda and brought together 48 stakeholders who shared their ideas on the way forward for the project. 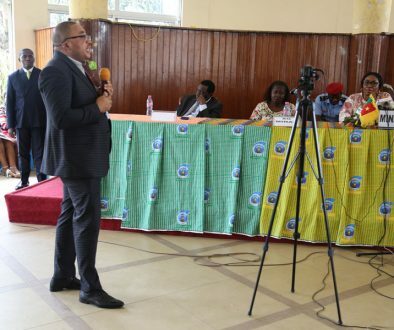 During the stakeholders’ meeting, the Project Manager, Mr. Awa Jacques Chirac, presented an overview of the project which highlighted that 851 children with clubfoot have been treated in 22 partner clinics from seven regions in Cameroon where the project is currently being implemented. The CCCP Manager revealed that Cameroon has 179 districts but the project has so far covered only 12% of the districts which remains a disturbing issue. According to Mr. Awa, more still needs to be done to ensure an increase in the percentage of coverage so that more children with clubfoot can be treated. Amazed with the results, stakeholders in their different focus groups expressed the need for the project to continue given its impact on the lives of children born with clubfoot. In five groups, participants highlighted the limitations of the project, proposed recommendations for the next phase to make it better and underlined the role of the stakeholders in ensuring increased access of children to clubfoot services. 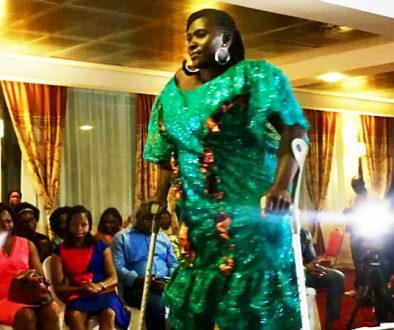 Mary Lum, whose child has been treated of clubfoot, expressed joy at the fact that she was now free from the depression she went through as a result of her child’s clubfoot at birth. “I am a happy mother today and I encourage every parent of a child with clubfoot to take their children for treatment. I am a testimony of a successful case,” boasted Mary. 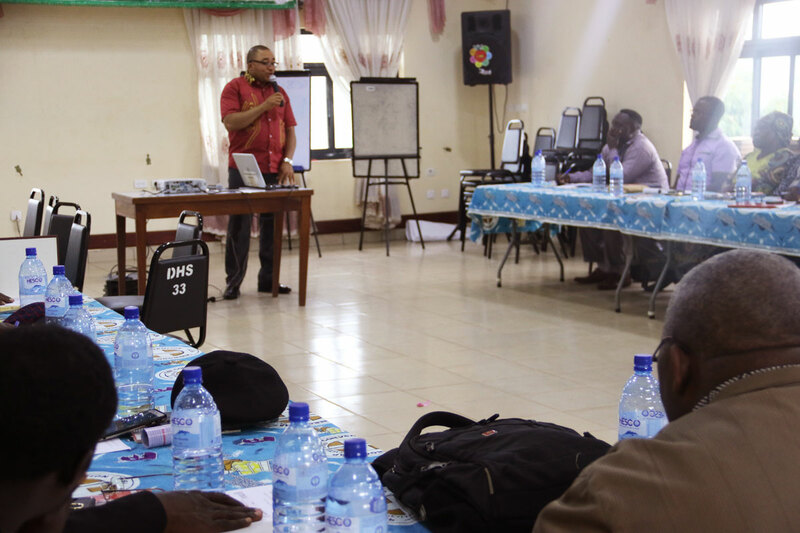 In the Center Region, the evaluation team met with stakeholders from the Center and Northern regions who expressed similar views but highlighted the high rate of poverty in some areas of the Northern regions which prevents parents from going for treatment. The team also had discussions with the Administrators of Bafoussam and Garoua Regional Hospitals who shared their views on how best the clubfoot treatment can be sustained in their hospitals. The evaluation ended at the Ministry of Public Health where the team met with Dr. Nko Ayissi George to get the Ministry’s appreciation of the project and recommendations on how the project team can get government more involved given that the hope is for the project to go national. Dr. Nko Ayissi George commended the CBC Health Services for her unwavering commitment and dedication in providing quality healthcare to Cameroonians. He gave advice and directives on what the CBC Health Services should do to facilitate the process of ensuring full partnership with the government in providing care to children born with clubfoot.